Latest Updated On 25.01.2019 : Good News ! SSC Will Conduct CGL Tier 1 Exam from 04.06.2019 to 19.06.2019………… Get Details Through The link Given Below………. 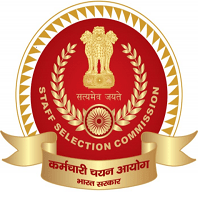 Staff Selection Commission (SSC) has recently announced that they are Going to recruit for the 20,000 Various vacancies. So There are a large Number of the Applicant who filled the application form. The Application Process was Online therefore many Candidates filled the Form until the Last date 04 June, 2018. If the Candidates wants to Check the Recruitment Details then they can check SSC cgl admit card Related Information from the below-Provided link. All the Candidates successfully Submitted there Application form and they are desperately waiting for there Exam. The SSC Conducted the Tier 1 exam on 25.07.2018 – 20.08.2018. TIER 2 Will happen on the 18.01.2018 To 20.01.2018. The Exam will be Conducted on the Prescribed Exam Centers. The Exam will be Computer Based. Before The Exam Application Status Would Be Available. It is an objective Type Online Exam. Interesting fact about CGL is that there is No sectional Cut Off…….Check Exam Pattern Below……. All the Candidates are advised to be in touch with the Official website of SSC to get all the Latest Information about SSC cgl admit card 2019 – 2020 and Also visit this page regularly to get the updates regarding this post. Candidates can drop the Comments below for any Query Regarding ssc cgl admit card and Doubts regarding this posts. We will try to assist you soon. Sir, when will ssc cgl 2018 tier 1 be held? Sir ssc cgl ke cr Ka exam on hoga or admit card kb release hoga.. I want to know when is the ssc cgl exam will be there can u please update me on my mail tier 1 of ssc cgl of (degree). Sir maharashtra state ka ssc cgl ka hall ticket kab ayega aur tier 1st exam kab hogi? Khiam Problem May Be There In Exam…. What is the expected date for SSC CGL tier I 2018-2019?? Sneha Admit card By Post Bhi Ghr Pr Ayega…..Ok Padhayi Kren…..
Sushil English ke Mock test Lahaye & Basic Clear KRen..
Sourav Chances hai Ki January Me Exam Ho Skta Hai….Wait Kren..